5G launches have started amid great expectations of changing the world altogether. 5G is aimed at meeting a wide range of requirements and use cases such as further enhanced mobile broadband, massive machine-type communications and ultra-reliable low-latency communications. With its high potential, 5G has gathered momentum and become a sort of boom attracting interests from a wide range of vertical industries beyond telecom. This momentum is highly expected to invent new business models and ecosystems across the industries. In the talk, the history is reviewed to predict the future. Some laws of mobile communication generations are introduced from the observation of previous generations, e.g. the second law: the law of great success only in even-numbered generations. Although these laws predict the future, it is shown that completely different phenomena are also happening in 5G. These laws therefore may not be applicable to 5G and beyond and 5G may spread in a different way from previous generations. The talk provides hints that will lead to future success, such as cross-industry collaboration. Biography: Seizo Onoe became Chief Technology Architect of NTT DOCOMO, INC in June 2017 after his 5 years’ tenure as Chief Technology Officer, while retaining the position of President of DOCOMO Technology, Inc. since June 2015. 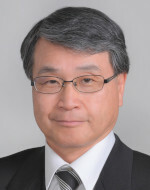 Prior to his current position, he was Chief Technology Officer and Executive Vice President and a Member of the Board of Directors of NTT DOCOMO from June 2012. Mr. Onoe became a Senior Vice President and Managing Director of the R&D Strategy Department in June 2008. He was a Vice President and took the position of Managing Director of departments in charge of Radio Access Network development from July 2002 to June 2008. The full IMT2020 compliant standard of 3GPP R16 will be released shortly and we will soon witness a global roll-out of 5G. There is no doubt that 5G will change our life and even the whole society. What is beyond 5G then? The network is expected to provide you with a seemingly infinite bandwidth and capacity by pushing beyond the current physical, informatics, and engineering limits. Connection will not be the only service provided by the network. Computing and caching will also be native resources of the cloud integrated network. With intelligent orchestration, the goals of extreme QoE and network efficiency will be achieved. Intelligence augmentation and trustworthiness will be the two pillars of the next generation wireless networks. Both of them will be essential to the novel service and business model. AI/ML will be used to improve the operational efficiency, while at the same time, the network with an edge computing architecture will improve the learning efficiency of AI/ML with less data, less training time and privacy preserving. The research challenges and technology breakthroughs required to deliver the vision for future wireless will be presented in this talk. 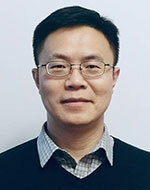 Biography: Jianmin Lu joined the Huawei Technologies in 1999. During the last two decades, he conducted various researches on wireless communications especially on physic layer and MAC layer and developed 3G, 4G and 5G products. He received more than 50 patents during the research. He was deeply involved in 3GPP2 (EVDO/UMB), WiMAX/802.16m and 3GPP (LTE/NR) standardization and contributed several key technologies such as flexible radio frame structure, radio resource management and MIMO. His current research interest is in the area of signal processing, protocol and networking for the next generation wireless communication. He is currently Executive Director of Huawei Wireless Technology Lab. The 4th industrial revolution is at hand and promises to significantly improve efficiency in industries and society. The technological drivers include IoT, AI, and Cloud computing which all come together with 5G. Network slicing, edge computing, and service orchestration will deliver fundamentally new service capabilities. 3GPP release 15 is ready and a solid basis for the first 5G networks and 5G will be further enhanced in the ongoing Rel 16 work and beyond. However, while 3GPP work is crucial to deliver the 5G communications standard there are many other pieces to the end-to-end services delivery. Also, as 5G is expected to be used broadly in other industries beyond telecommunications it is vital the ecosystem opens up for cooperation across boundaries to facilitate fast innovation. The talk will look at the global economical and technical drivers and present the radical Future X architecture to unleash the power of 5G. 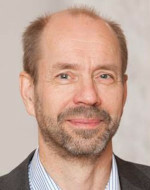 Biography: Lauri Oksanen is Vice President for Research and Technology in Nokia. He heads the Industry Standards Group in Nokia Bell Labs. He started his industrial career 30 years ago in fiber optics in Nokia. Then Lauri moved to mobile networks where he has worked with all major wireless technologies from GSM to 5G. Lauri has worked in various advanced technology management positions covering fixed and wireless access, core, management and services, including also the HW and SW platforms and cloud and security technologies. Lauri has Master's and Licentiate degrees in Telecommunications from Helsinki University of Technology (now Aalto), where he also worked as a researcher before joining Nokia. The rural challenge is a particularly difficult one when it comes to connecting the world. Jin will discuss the nature of the challenge and share a variety of efforts that FB is either actively involved with or is interested in investigating deeper with partners and collaborators. Biography: At Facebook, Jin serves as the Engineering Head for Satellite and Cellular Connectivity, where he oversees and directs key aspects of Facebook’s efforts to increase access to affordable connectivity across the globe. Before joining Facebook, Jin spent over ten years at National Instruments, where he served as the Vice President of R&D, RF and Wireless Products, managing a global R&D organization of engineers and driving innovation with internal experts and key outside partners. Jin began his career as an RF Engineer and R&D manager for Hewlett Packard and Agilent Technologies. Jin holds a BS and MS in Electrical Engineering from UC Davis and Stanford, respectively. In this talk, we consider two different aspects of randomness. In the first part of this talk, we overview the use of deterministic versus random code constructions. The use of deterministic approaches places constraints on construction, such as being only applicable in end-to-end settings. The use of random linear network coding (RLNC) allows for endless comparability and, in erasure networks, achieving network capacity without the need to know topology. In the second part of the talk, we consider guessing random additive noise to decode (GRAND). This new approach does not use the structure of the code, but instead considers the random properties of the noise itself. GRAND provides a maximum a posteriori decoder with any code, with attractive complexity properties for many channels. Biography: Muriel Médard is the Cecil H. Green Professor in the Electrical Engineering and Computer Science (EECS) Department at MIT and leads the Network Coding and Reliable Communications Group at the Research Laboratory for Electronics at MIT. She has co-founded three companies to commercialize network coding, CodeOn, Steinwurf and Chocolate Cloud. She has served as editor for many publications of the Institute of Electrical and Electronics Engineers (IEEE), of which she was elected Fellow, and she has served as Editor in Chief of the IEEE Journal on Selected Areas in Communications. She was President of the IEEE Information Theory Society in 2012, and served on its board of governors for eleven years. She has served as technical program committee co-chair of many of the major conferences in information theory, communications and networking. She received the 2009 IEEE Communication Society and Information Theory Society Joint Paper Award, the 2009 William R. Bennett Prize in the Field of Communications Networking, the 2002 IEEE Leon K. Kirchmayer Prize Paper Award, the 2018 ACM SIGCOMM Test of Time Paper Award and several conference paper awards. She was co-winner of the MIT 2004 Harold E. Edgerton Faculty Achievement Award, received the 2013 EECS Graduate Student Association Mentor Award and served as Housemaster for seven years. In 2007 she was named a Gilbreth Lecturer by the U.S. National Academy of Engineering. She received the 2016 IEEE Vehicular Technology James Evans Avant Garde Award, the 2017 Aaron Wyner Distinguished Service Award from the IEEE Information Theory Society and the 2017 IEEE Communications Society Edwin Howard Armstrong Achievement Award. Information flow over graphs is a topic of significant relevance, especially in light of the proliferation of online platforms that facilitate communication and the exchange of opinions among members. In order to promote the diffusion of reliable information, it is important to understand which aspects of the graph topology favor the spread of misinformation, and which strategies can be used to enable belief control or sow confusion. This presentation provides an overview of research results on distributed information flow over weak graphs where the flow of information is asymmetric. This scenario is common over social networks. For example, it is not unusual for some influential agents (such as celebrities) to have a large number of followers, while the influential agent may not be following most of them. A similar effect arises when social networks operate in the presence of stubborn agents, which insist on their opinion regardless of the evidence provided by observations or by neighboring agents. It turns out that weak graphs influence the evolution of the agents’ beliefs in an interesting manner and facilitate the spread of false information over networks. While agents are able to learn the global truth from interactions over strong graphs, where there is a path between any two agents, anomalies arise over weak graphs where certain agents can control the statistical beliefs of other agents. This phenomenon permits the flow of misinformation and can be used to generate confusion. In particular, (a) agents in a graph can be made to arrive at incorrect inference decisions (a form of belief control); (b) they can be made to disagree among themselves (a form of social discord); and (c) and they can be made to continually change their beliefs about the truth (a form of confused learning). For example, some agents or sensors may be driven to believe erroneously that “it is raining” even though they may be observing “sunny conditions.” This presentation examines these patterns of behavior over multi-agent networks and illustrates the results with examples and simulations. 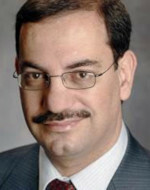 Biography: Ali H. Sayed is Dean of Engineering at EPFL, Switzerland. He has also served as distinguished professor and former chairman of electrical engineering at UCLA, Los Angeles. He is a member of the US National Academy of Engineering and recognized as a Highly Cited Researcher. An author of over 530 scholarly publications and six books, his research involves several areas including adaptation and learning, data and network sciences, and multi-agent systems. 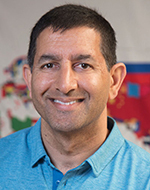 Dr. Sayed has received several awards including the 2015 Education Award from the IEEE Signal Processing Society, the 2014 Athanasios Papoulis Award from the European Association for Signal Processing, the 2013 Meritorious Service Award, and the 2012 Technical Achievement Award from the IEEE Signal Processing Society. He has also received the 2005 Terman Award from the American Society for Engineering Education, the 2003 Kuwait Prize, and the 1996 IEEE Donald G. Fink Prize. His articles received several Best Paper Awards from the IEEE. He is a Fellow of IEEE, EURASIP, and the American Association for the Advancement of Science (AAAS). He is serving as President of the IEEE Signal Processing Society.